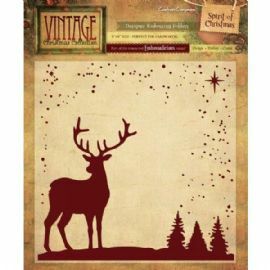 Fabulous 6x6 Embossing Folder called Spirit of Christmas. Part of the Crafters Companion Vintage Christmas Collection. Perfect for adding texture and dimension to your Christmas projects.